The Mormon connection to scouting is quite prominent. In 2001, Newsweek's David France explained that LDS has adopted scouting as its official youth program in which more than 400,000 Mormon boys participate. LDS supported troops comprise about 13% of scouting. This has given the Church tremendous influence over the national board. It is unknown how much sway, or constituency, the LDS had over the secret 11 member "homosexual committee" that has sustained their discriminatory policy this week. Suffice it to say, the Mormons have very real leverage. Were they to convert their troops to a different church organization, this would be a huge blow to scouting - financially and organizationally. 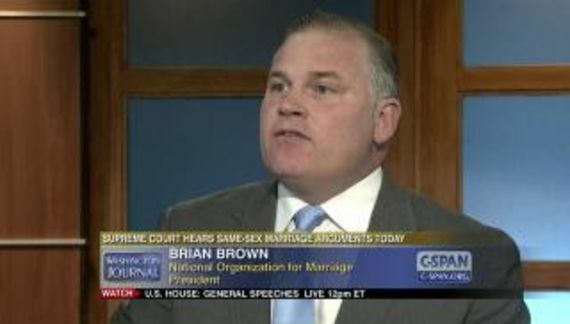 As for Willard, he said, in 1994, that scouting should be open to all, regardless of sexual orientation. I doubt that he believed that when he said it. The bottom line is that the superstitions of less than 2% of the US population are having a considerable effect on the lives of many more people the vast majority of whom do not subscribe to their religious beliefs.